What kind of credentials does the dentist have? How long has the dentist been in practice? 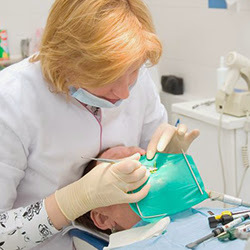 Whatever information you find will help you figure out the best dental care clinics to go for. Pick a dentist whose clinic is near enough so you won’t have to stress yourself out, trying to make it to your appointment each and every time. Plus, having to deal with horrendous traffic or a long drive to your dentist might make you less inclined to show up for your appointment. If you keep missing your dental appointments because the drive and distance make you lazy, then you might be better off looking for a different one. Check out clinics for cosmetic dentistry in Southampton that are much nearer to you. That should give you a good place to start. What kind of services are available? Do they offer whitening solutions to give you the brighter, whiter teeth you want? Or can they fill up the cavities in your teeth? If you have gaps between your teeth, do they offer veneer treatments or the like? These are just some of the popular cosmetic dental procedures you might go for, Medline Plus says. Check if the clinic offers the services you need before you make an appointment. Some people are self-conscious about their teeth problems. If you’re one of them, then find a dentist you’re comfortable with. That should provide you with a pleasant experience at the dentist.